An EPC is a guide that would-be buyers or tenants get when they look at a property. It shows how efficiently a property uses energy, the cost of running a home and recommendations on how to improve the energy efficiency of the property. 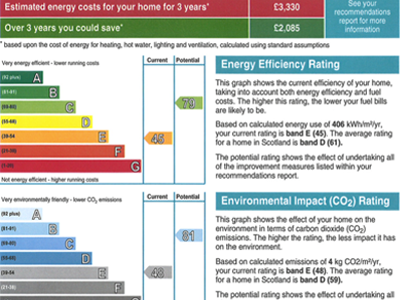 An energy rating is providing ranging from A (most efficient) to G (least efficient). When an Assessor surveys a property they shall take into consideration the following. The age, type and dimensions of the building. The type of materials the building is composed of. The type and amount of insulation. The type of heating system and controls. The age, type and amount of glazing. All this information is fed into a programme that will produce the rating of your building and a list of recommendations that you should carry out to improve the efficiency of your building. At present the average rating is D for a Domestic Building. What is you building’s rating? When do you need a EPC? An EPC is required when a property is built, sold or rented. An EPC must be in place when a building is advertised for sale or rent so the potential new owner or tenant can see the fuel running cost of a building. EPC are split into 2 main categories – Domestic and Commercial. A Domestic EPC covers residential properties. However, a landlord should be aware of the difference between a domestic abode and a HMO which would come under the Commercial banner. What is an Home of Multiple Occupancy? An HMO is defined by the government as any property that is being rented to three or more occupants who are not from the same household. More than one of these households must share an amenity such as kitchen, bathroom or toilet facilities. Legionella Risk Assessments can be carried out at the same time as your EPC Assessment at a reduced rate. 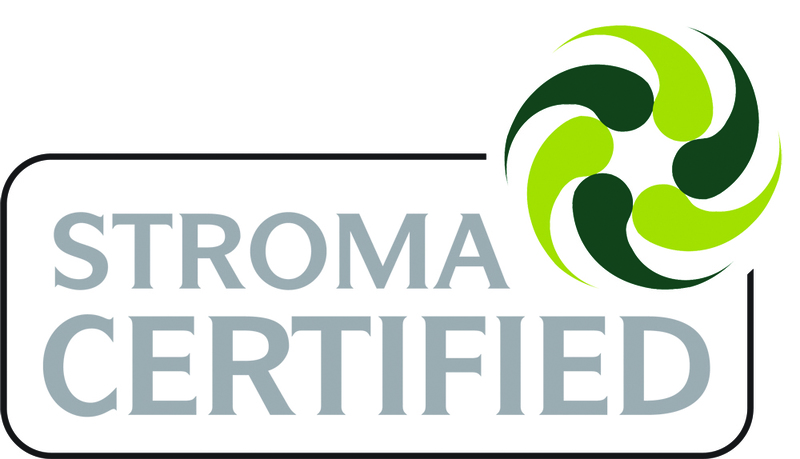 If you are based in, or are near to, any of the places listed below, we can provide Energy Perfomance Certificates. Alexandria, Ayr, Bearsden, Milngavie, Newton Mearns, Beith, Cambuslang, Cumbernauld, Dumbarton, East Kilbride, Falkirk, Girvan, Glasgow North, Glasgow South, Glasgow West End, Greenock , Port Glasgow, Hamilton, Helensburgh, Irvine, Isle of Arran, Isle of Bute, Johnstone, Kilmarnock, Livingston, Motherwell, Paisley, Stirling, Edinburgh, Midlothian, Lanarkshire, Stirlingshire, Renfrewshire. Charles Hanlon is a registered Green Deal Advisor and as such can provide information to householders and landlords about how they can improve their properties’ energy efficiency with a variety of home improvements. The Scottish Government has made £30 million available to householders to help them make their homes more energy efficient. Homeowners can apply for a loan of up to £15,000 (interest-free) to install home improvements that will reduce their energy bills. There is a variety of improvements that can be adopted such as insulation for internal and external walls, loft and roof insulation, draught proofing and the installation of energy efficient boilers. Landlords are also eligible for the interest-free loans. Call to discuss your requirements on 0730 575 2956.